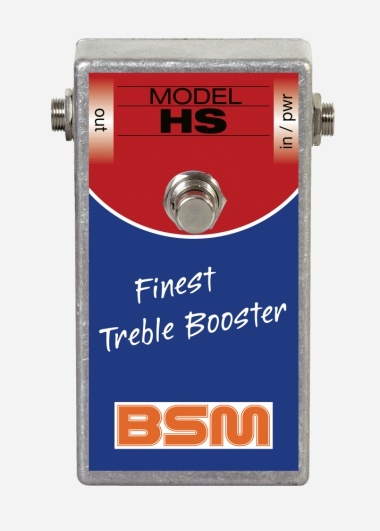 The HS model is based on the British Hornby-Skewes Treble Booster unit, issued early 1967 and is loaded with a germanium transistor as used by Ritchie Blackmore in Deep Purple. 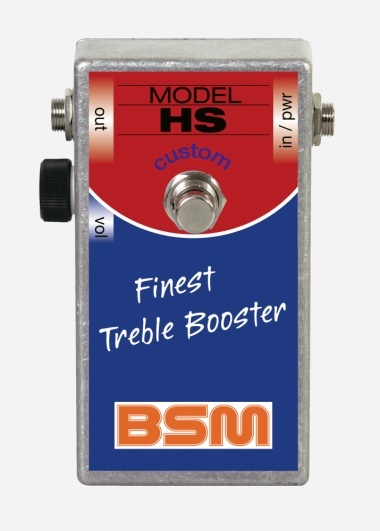 The HS model is based on the british Hornby-Skewes Treble Booster unit, issued in early 1967 and is loaded with a germanium transistor as used by Ritchie Blackmore in Deep Purple. The HS-Custom model is identical to the HS but includes a volume control (like Blackmore’s own modification). The RG model is the Rory Gallagher tribute booster, perfect to nail Gallagher's punchy fat crunch-tone. 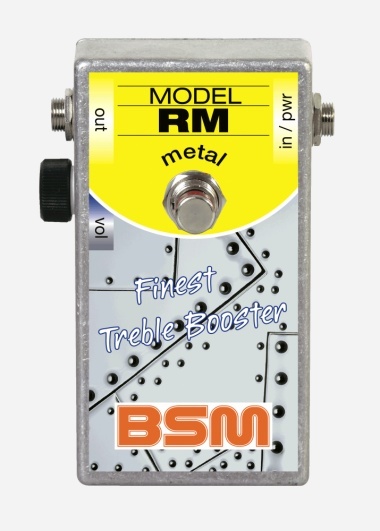 The RM Metal is an altered high-gain version based of the RM, identical to the modified 1969 Rangemaster unit that Tony Iommi began to use on Black Sabbath’s ‘Paranoid’ album. 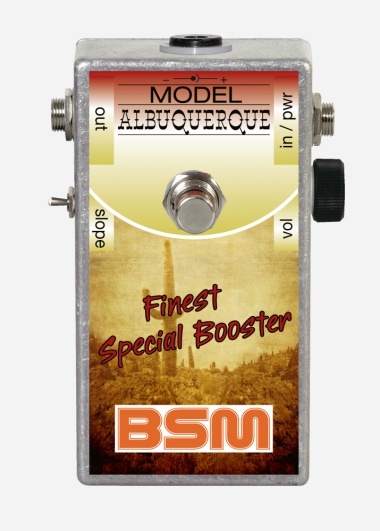 The RM-M model is also recommended for Nu-Rock, low dropped tunings and baritone guitars. The BM-Q model is based on the circuit, which was used by Brian May during his mid/lateQueen period. 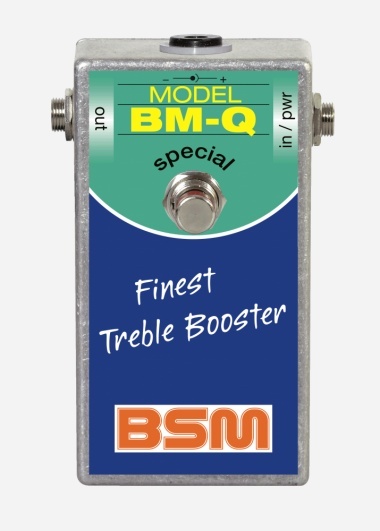 Model BM-Q Special is a unit without volume control similar to Brian’s original. It is available as custom order. 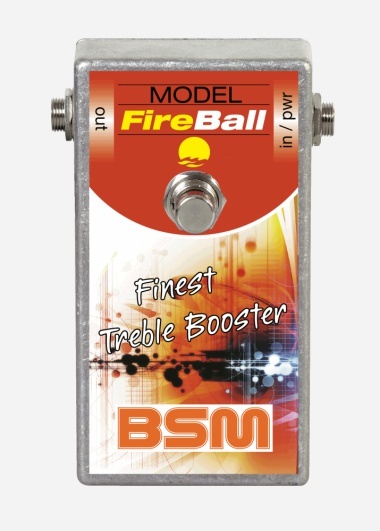 The HS-Fireball is a special selected HS unit, which allows the hard and aggressive sound as heard on the Rainbow ‘Rising’ or ‘Down to Earth’ record or Ritchie’s late 1970s stage sound. The Albuquerque is a signature sound pedal to achieve Mick Ralphs' fat Les Paul with Marshall 1976 overdrive live-sound in Bad Company. No control other than just a slope switch to reduce the bass if it’s too much for your needs. 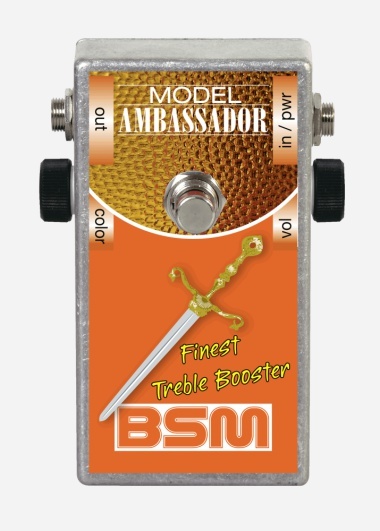 A fat pedal with rich harmonics!